Join me in Sautee Nacoochee, Georgia with the one you love at this magical location. 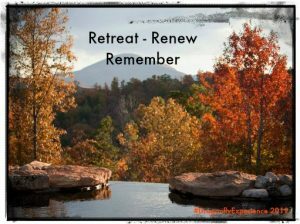 They say when one door closes another one opens and Elohee Retreat Center is a piece of heaven on earth and truly an escape from day to day life to Retreat – Renew – Remember. 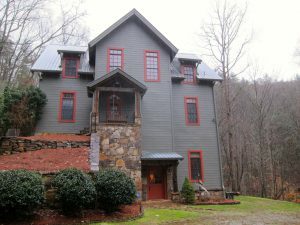 Below is Thanksgiving House where our intimate retreat will be held. With only 6 bedrooms, two fireplaces and yoga hall we will experience to total getaway…Daily meditation, yoga, sound healing and touch of deep soul work to help recharge your body, mind and spirt! +Daily Restorative Yoga surrounded by floor-to-ceiling window with mountain & waterfall view. 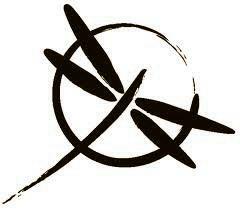 +Daily we will gather in a sacred circle to inspire, share wisdom and learn to embrace our own inner power. Are you holding on so hard you’ve forgotten how to let go??? 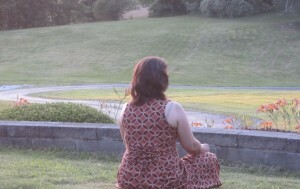 Letting go of what no longer serves you…..
Let Felicia help you create your own DragonflyExperience and Re-establish your divine connection to your spirit. 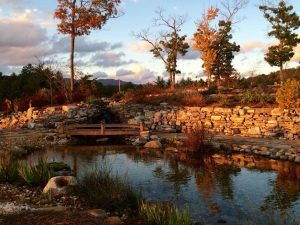 Find yourself on the nature trails, explore your own spiritual journey on the labyrinth, Enjoy the sunset from the open air jacuzzi and commune with your tribe or luxuriate in a healing spa massage treatment. If you are ready to step into your own personal power this retreat will give you the tools you need. Helping you to discover their true soul’s mission and live an authentic life carrying out your souls purpose. This retreat will focus on deep inner work fusing in yoga, energy work and meditation to create lasting transformation. Sometimes there are inner barriers that limit your ability to step into your soul’s potential. 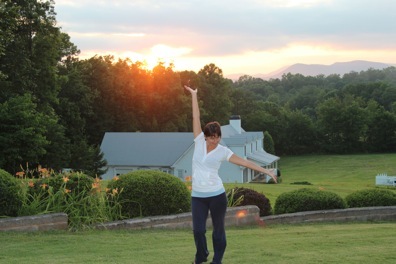 Join Advanced Soul Coach, Felicia Grant, and a small group of women for a quiet exploration back to yourself, while you are surrounded by the tranquility and spectacular scenery of the Blue Ridge Mountains. This women’s retreat offers the opportunity to step away from your busy life and gently get back in touch with yourself and the still, small voice within you that whispers the truth. For Four magical days and three starry nights step out of your everyday life and leave your worries and cares behind you. Release old blockages in a safe supported environment. Express your strength with grace and take back your power. Help you release old negative self talk. Reconnect with the essence of who you really are. Pricing is all-inclusive: Includes, 2 restorative yoga classes, meditation, deluxe accommodations, delicious meals, taxes, gratuities. Transportation to and from the retreat is not included. If you choose a Double Accommodation we will do our best to pair you up with another participant. 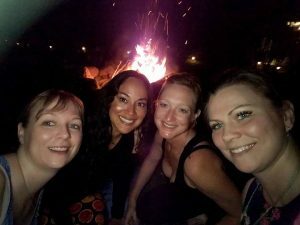 Since we have a limited amount of space and accommodations:and these women’s retreats always sell out…Claim your spot at this life changing retreat! Complete the online registration form with a deposit in the amount of $250.00 upon booking. Balance must paid 60 days prior to the start of the retreat. *See Full Cancellation policy below. We are often being pulled in so many directions that we have little time to reflect and go inside to even see what our needs may be. 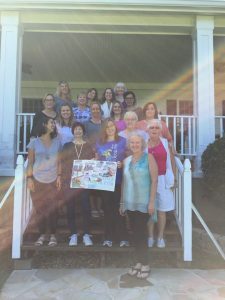 This rejuvenating women’s retreat offers the tools needed to learn how to tap into your knowing, even in the midst of life’s chaos, and be nurtured in a beautiful setting in nature! Check out the DragonflyExperience Retreat Itinerary. Since retreats fill quickly, it is advisable to sign up as early as possible. In order to reserve a space in any weekend retreat, a non-refundable deposit is required. Fees are payable in U.S. currency only. Overseas residents must pay by checks drawn on U.S. banks or use a credit card. Balance of payment is due at least 45 days prior to each retreat. Cancellations must be made by phone or in writing. If you cancel your registration 90 days or more before the start of your retreat we will refund your deposit. Any cancellations made after 60 days prior to the start of the retreat; any funds paid will be held in credit towards another retreat to be used with 12 months. We suggest you purchase trip insurance if this is a concern. Dragonflye Experience Retreats reserves the right to cancel a retreat at any time – in which case your entire payment will be refunded.